Your name flew to me when I was just a girl. Those letters, in that order? Spelled out in the air? To fashion wings out of felt. But it breaks a bit too. And do so many things. But that's just as it should be. You are yours, not mine. When I first read about the blog carnival being held by Mother's Milk Books, I was really excited at the prospect of participating. But when it came to thinking up a post I was stumped. Although fairy tales hold a great fascination for me, and I could probably write a lot about them, I didn't want to end up writing a literary essay, nor did I have time to. I racked my brains, scanning the prompts helpfully provided, until I thought again about one line; "Has anything 'fairy tale-like' happened in your own life?" And I suddenly realised the answer was - well, sort of. When people ask how I chose Eleanor's name, I always say, "it's a name I've liked since I was a girl." This is a half-truth, because the truth makes me sound a bit bonkers. The poem above refers to two events, the first of which happened many years ago - I'm not even sure how many. I can't tell you how old I was when it happened, sometimes I even wonder whether it happened at all or whether I dreamt it. All I can tell you is that I have a memory of looking out of my bedroom window at a group of birds making patterns in the sky as they prepared to migrate. For a split second, they seemed to spell out the name 'Eleanor'. Whether that really happened, or was just an embellishment from my mind, I'll never know. But I do know it wasn't a name I was familiar with; I didn't know anybody with that name at the time, I can't recall reading it in a book, I have no clue where I could have heard it from. OK, so a frog didn't hop out and promise me a daughter, but when trying for a baby took longer than we'd expected, my memory of those birds (I don't know what kind really, my hunch is swallows but as a child I wouldn't have known) gave me hope that a child was part of my destiny. Whether real or not, it was very important to me at that testing time in my life. The second event the poem refers to happened this week. Eleanor often talks about how she wishes she could fly like a bird, and again we were having this conversation as she bounced on the trampoline in our garden. She started to talk about getting wings and I tried to explain that it would be very hard to make wings that could make a person actually fly, but to her that was merely a challenge she had to accept. She ran inside, grabbed her scissors and a piece of felt and snipped some pieces out of it, then got upset because she didn't know how she could glue them onto her back. I gently told her that it wasn't safe to glue things to her skin, and those two small cuttings of felt would not work as wings even if they were stuck to her back. She was distraught. I was touched by the earnestness of her efforts, and saddened, obviously at her distress, but also by the thought of where that creativity and determination may take her as she grows - and it may take her far away. She shares her birthday with my brother who has travelled a lot in his life, and I sometimes wonder whether their shared birthday means she will be a globetrotter like him - she loves looking at maps and globes, longs to go on a plane and even talks about flying to the moon or Mars! Whether she was promised to me or not, I'm ever conscious she is not mine to keep. She's no passive princess, I can't keep her within the walls of a castle, I know one day she will start her own great adventure and I will just be a bystander. So there you go, my own sort-of fairy tale. The tale of the girl whose name flew to me, and who might one day fly away from me, in the best possible way. 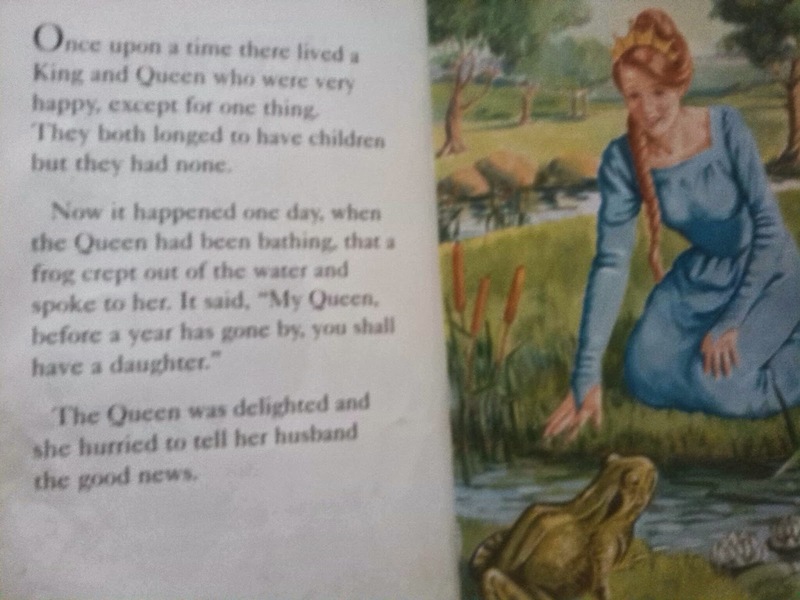 ‘Changing Fairy Tales’ — Helen at Young Middle Age explains how having young children has given her a new caution about fairy tales. 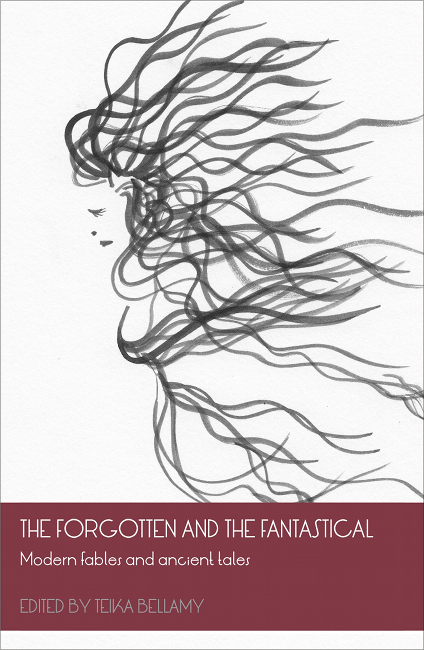 In ‘The Art of Faerie’ Marija Smits waxes lyrical about fairy tale illustrations. It is now nearly a month since you left us unannounced. I had hoped, nay assumed, you would take your leave slowly – your visits becoming gradually shorter, or not coming one day only to return the next – but no, you made a dramatic exit. From two hours, often more, every day to nothing. You've popped back twice since but too close to bedtime so we've had to shove you out unceremoniously after half an hour. I knew things would be hard once you'd gone, but your very sudden departure has left me all at sea. When do I do all those little jobs now? The ironing, sweeping up, prepping tea, when are they meant to happen? 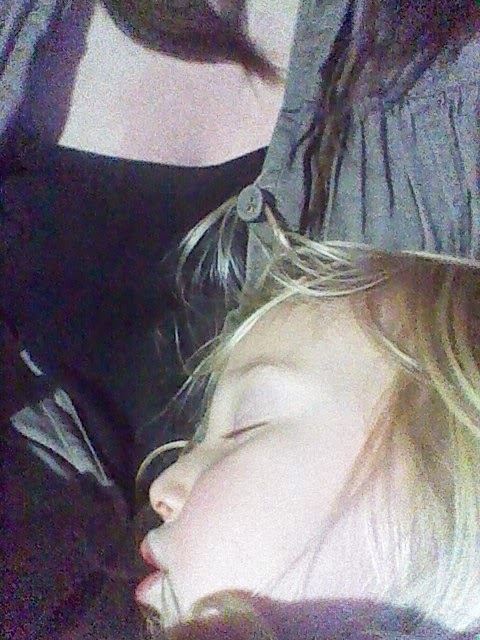 They sure as heck can't happen with an overtired three year old in tow, who protests if I so much as go to the next room by grabbing my hand and gently tugging me back saying, "but Mummy, I'm lonely on my own!" Yes I've got those two precious mornings when Eleanor is in preschool, but that's five hours a week. I used to have fourteen hours of you! Your leaving is a game changer. My business has had to go on the back burner indefinitely, and my plans to start up a second business are also shelved until Eleanor gets more hours at preschool. 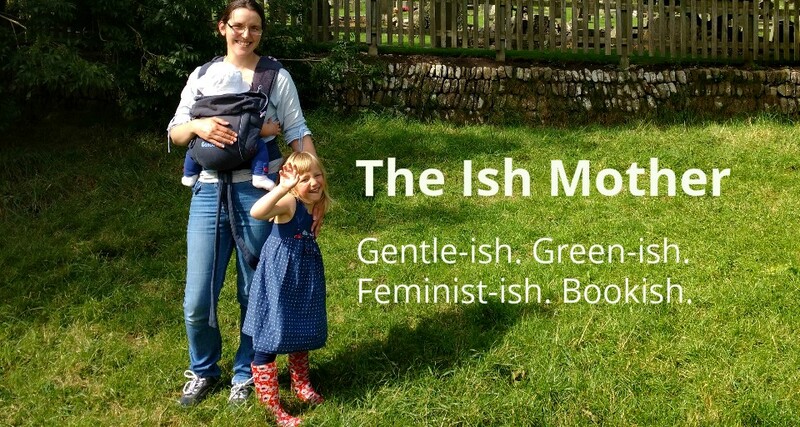 My hopes of actually having a bit of spare money have been dashed, as have my hopes of finding fulfilment rather than fatigue in being a work at home mum. And it's not just the housework or the work-work that's the trouble. When do I get a breather? When do I get a cup of coffee and a biscuit now? A biscuit that I don't have to share, or eat in the cupboard so my daughter remains under the illusion that biscuits are just for pudding or as a treat at playgroup. I miss those biscuits. I miss a couple of hours of utter peace and quiet, just me pottering around the house getting stuff done. I used to hate getting to the end of naptime and realising I'd hardly had a rest myself – it's amazing how hindsight can make ironing in front of the TV seem like such a blissful experience. Now you're gone, I have two extra hours a day to fill with entertainment. Two hours with a three year old who, actually, quite clearly still needs a nap because from 1pm onwards she is an emotional wreck who is unable to focus on anything and unable to cope with me saying no to any of her demands. My once-peaceful afternoons are now filled with requests to watch-Charlie-and-Lola-read-a-story-bake-gingerbread-do-a-crafty-thing-watch-Charlie-and-Lola-again-do-painting-play-with-the-playdoh-cake-maker-watch-Charlie-and-Lola-again-BUT-MUMMY-I-WANT-TO-WATCH-CHARLIE-AND-LOLA-AGAIN-NO-DON'T-GO-TO-THE-TOILET-BECAUSE-I'M-LONELY-ON-MY-OWN! All this at a time when I've already exhausted my ideas for what to do in the day and feel shattered. Thanks for that. And then, aside from all the things I can't do, aside from all the things I now have to do, there is that sense of wistfulness. Eleanor doesn't feed to sleep at bedtime, but she did feed to sleep for you. At times that was stressful, but there was such a beautiful tranquillity in sitting in a chair in a darkened room, nursing my hyper preschooler until her eyelids were heavy and her limbs limp. Lingering for a few minutes after she'd dropped off, my own head nodding slightly, enjoying holding my sleeping baby just like I did three years ago. Now the only times I can cuddle my slumbering child is the night feed and that stolen extra sleep when she comes through to our bed in the morning. Both times when I'm too tired to enjoy it. I wonder how long she'll keep waking in the night. Well, I've always wondered that but now there's a conflict inside me. I long for the day when I'll go to bed knowing I won't be woken until such a time as can respectably be called morning. But now I feel like I'll miss sitting in that chair and holding my wonderful snoozy bundle. And then how long before she stops falling back to sleep when she comes through to us? The time of sleepy snuggles seems to be creeping away now, and that makes my heart ache. I won't beg for you to come back, naptime, because I know it's futile. Eleanor has decided that she's done with you, and once her mind is made up there is no unmaking it. But I'll miss you, and not just for the obvious reasons. I'll miss that oasis of calm in a busy day, when I held my darling child and her eyes slowly closed.